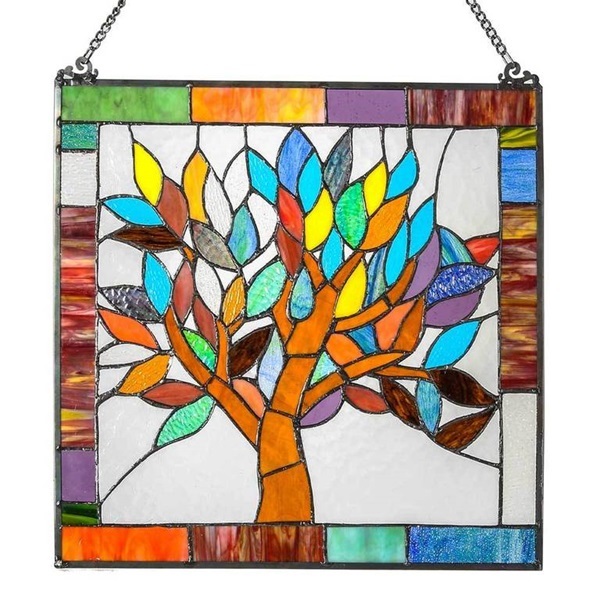 Full of color and symbolic meaning, the Mystical World Tree Glass Panel is sure to ignite your space with vibrant colors and a peaceful ambiance. 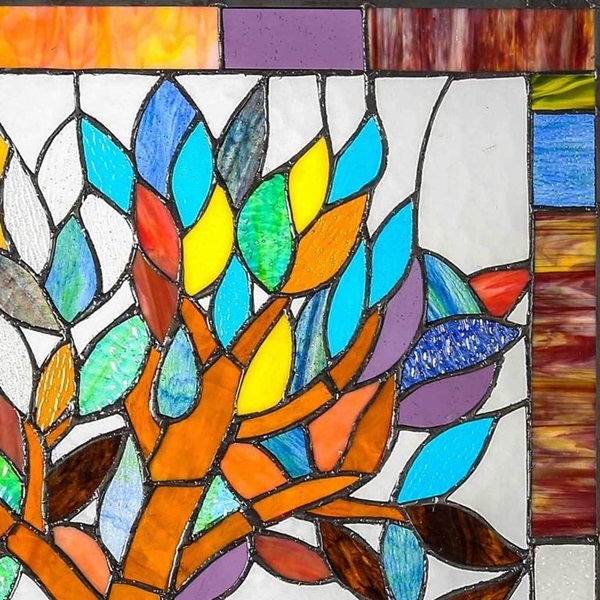 This glass panel features 131 pieces of colorful striated and ripple glass in hues of blue, green, red, brown and purple. 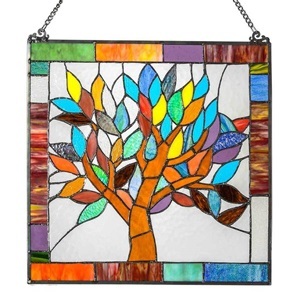 Place in any window in your home or give as a gift to a special loved one.